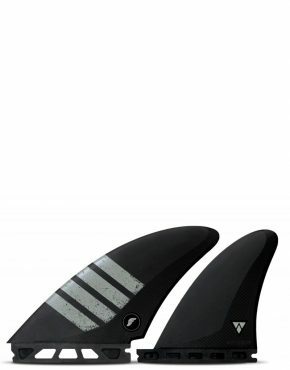 OVERVIEW: MR’s signature tri set for twin, super twin or modern fish models. GEOMETRY: MR’s four World Title template. 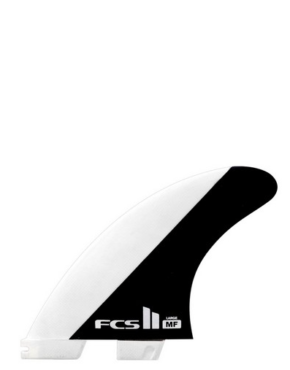 Large upright and full-bodied side fins have a flat foil. 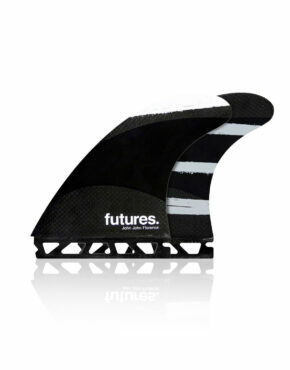 Paird with a small centre fin to add control. PERFORMANCE: Produces exceptional drive and speed. 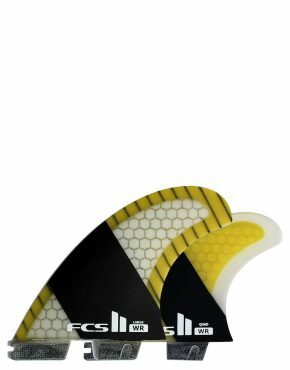 Small stabilizer adds control while maintaining the freedom and manoeuvrability of a twin fin set up. 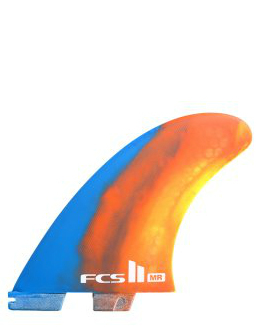 BOARD TYPES: Twin fin and modern fish models.